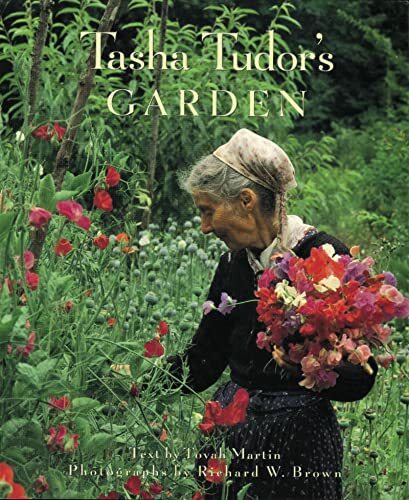 Tasha Tudor lives a fascinating life on a farm in Vermont with her gardens,animals and her craft and illustrating talents. She lives like They did in the 1800's. I love ALL her books! Tasha Tudor is one of the most wonderful and inspiring, people I have ever read about. She illustrates such adorable children and animals. She lives in a perfect past/present of her own making. I devoured this book the winter before I planted my first cottage garden. The photographs are absolutely gorgeous. Whether or not you're a Tasha Tudor fan, you will find her gardens enchanting. Tasha provides plenty of down to earth gardening advice. Her home brewed "manure tea" defines her gardening style.